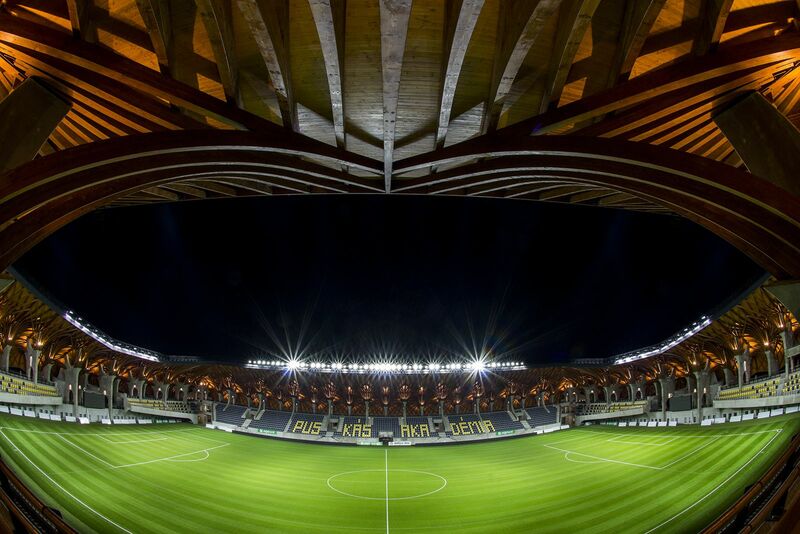 Decision to locate the new national youth stadium in Felcsút village, just west of Budapest, was made in 2010. 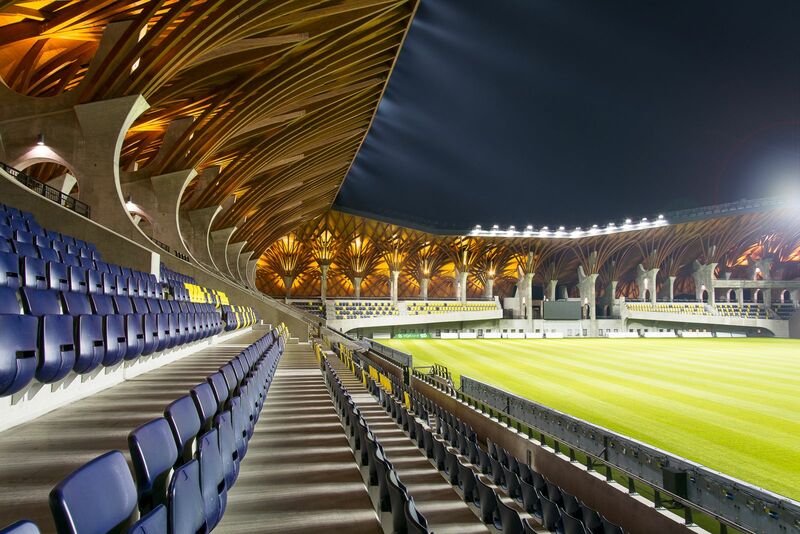 The conceptual design was awarded to Imre Makovecz, renowned Hungarian representative of organic architecture, who created the main buildings of Puskas Academy earlier. 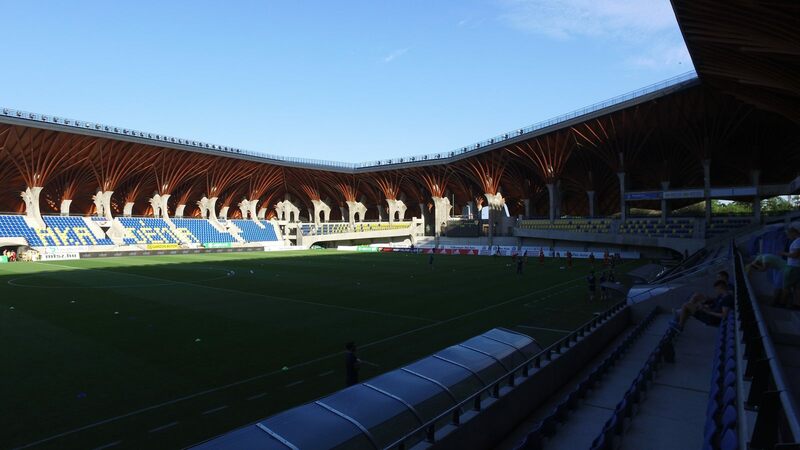 Despite Makovecz’s death in 2011, the stadium was delivered along his vision by Tamás Dobros. 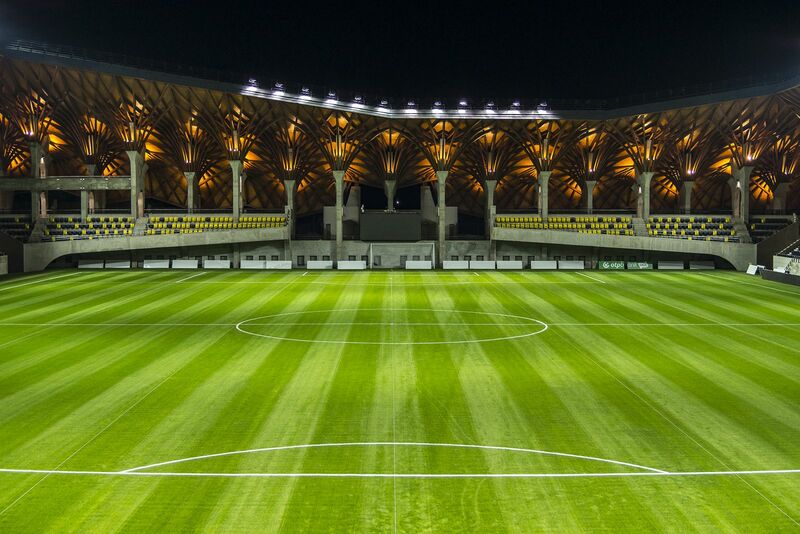 Construction began in 2012, taking place of two training pitches of the football academy. 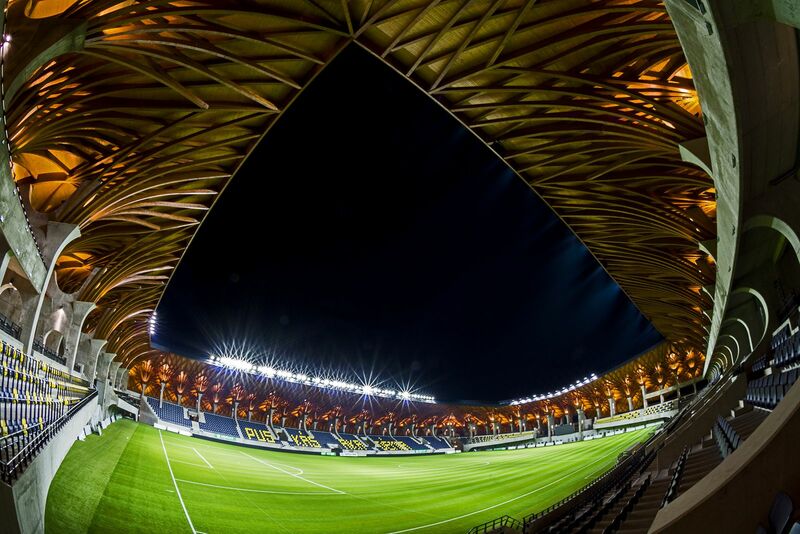 The stadium was delivered on time, in March 2014. 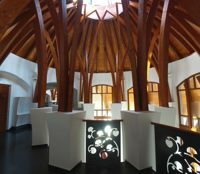 It was also kept within budget, but its high price still caused controversy. 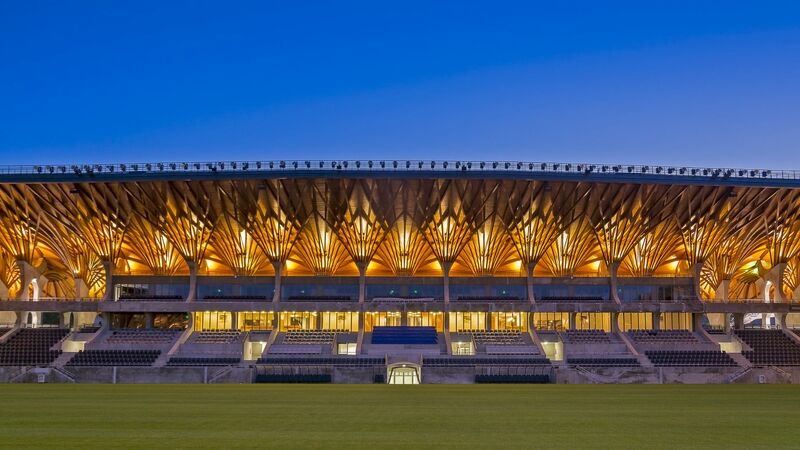 Most distinctive feature of the stadium is its aesthetics, balancing the modern football use and rural, very natural architecture. 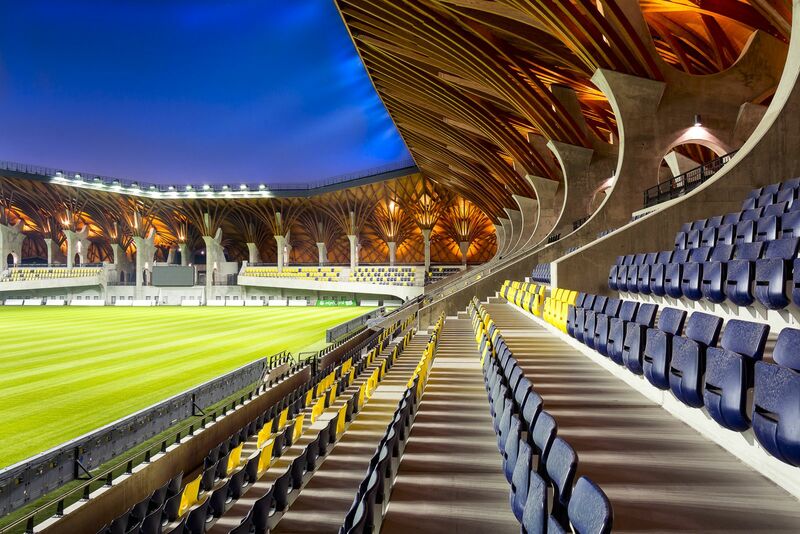 Rough cast-on-site concrete blends almost seamlessly with impressive forest of wooden roof supports inside the stadium. 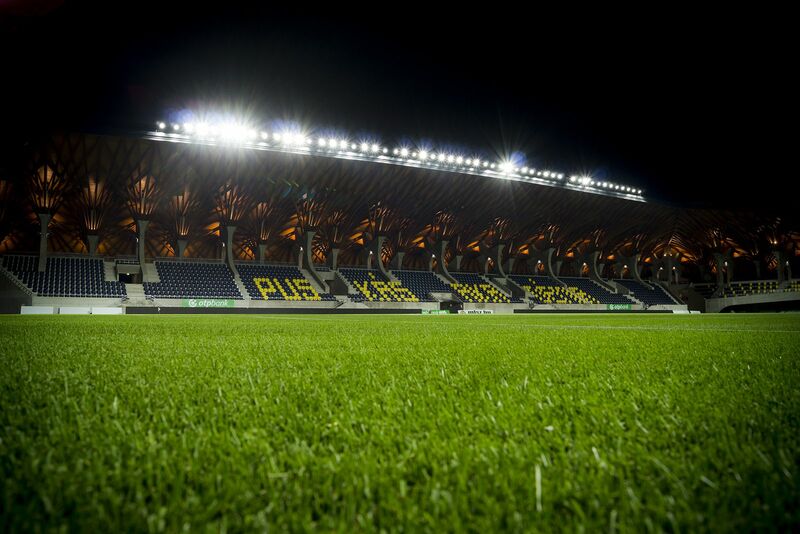 Outside the cover resembles a thatch, raising overall building height enough for floodlights not to require additional masts. 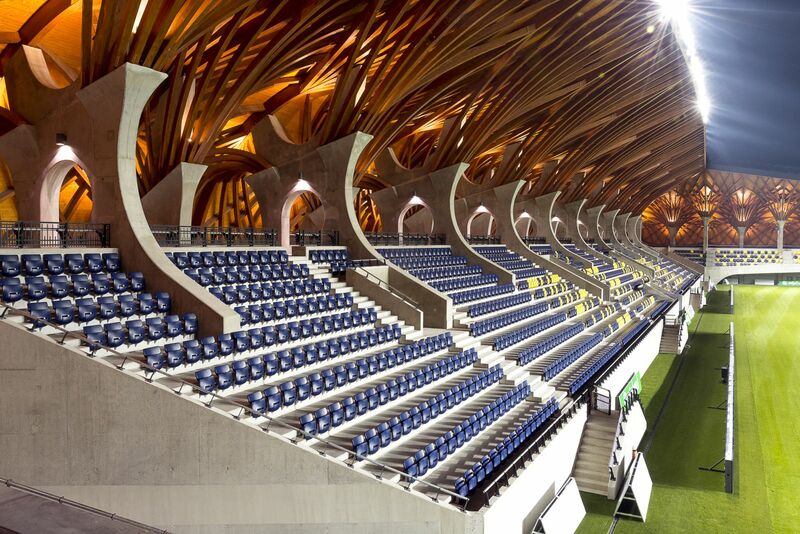 With 3,500 seats the stadium offers each visitor the chance to wander around a promenade incorporated into the roof structure. 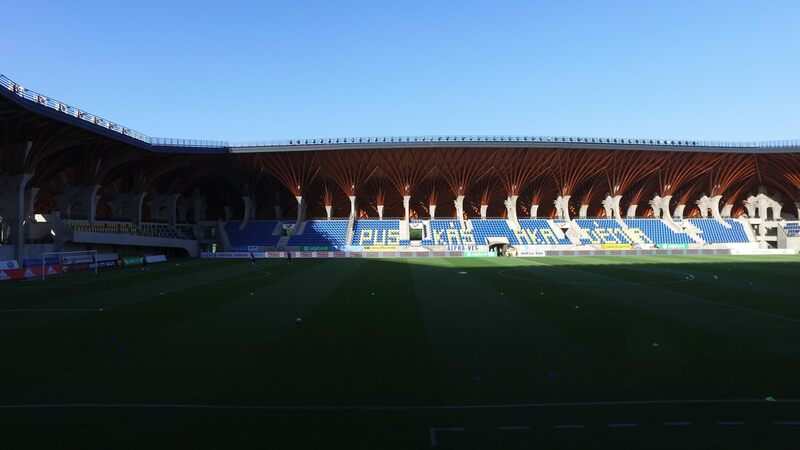 The stadium is to host home games of youth national teams of Hungary, but week-to-week use will be provided by top-flight Puskas Akademia FC team. 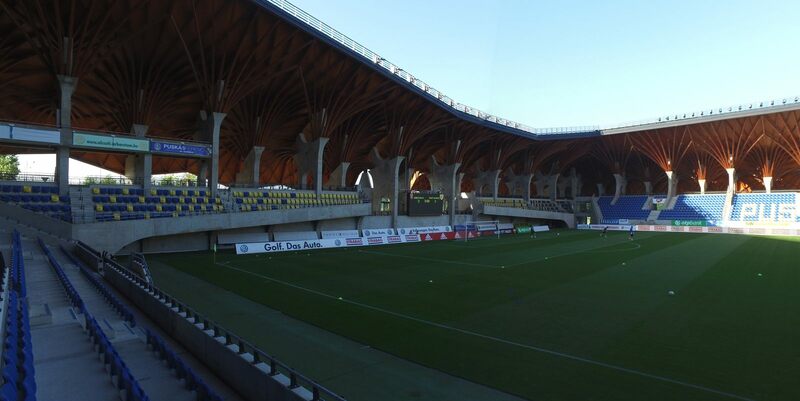 In its first year the stadium also became a venue for U19 Euro. 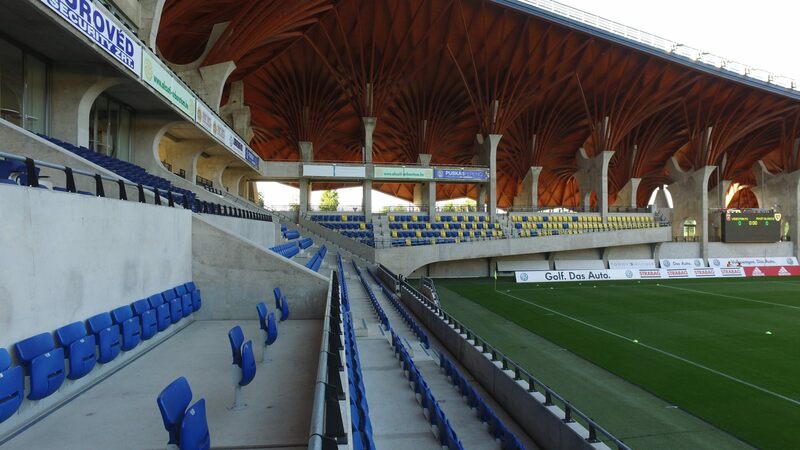 28.06.2014 Budapest: Hungarian national stadium more expensive, but still cheap? 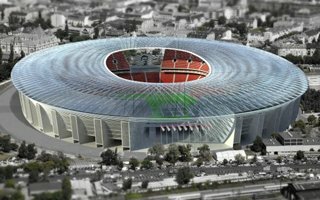 Hungarian government confirmed the new national sports complex will consume more funds, but will still be very good value for money. 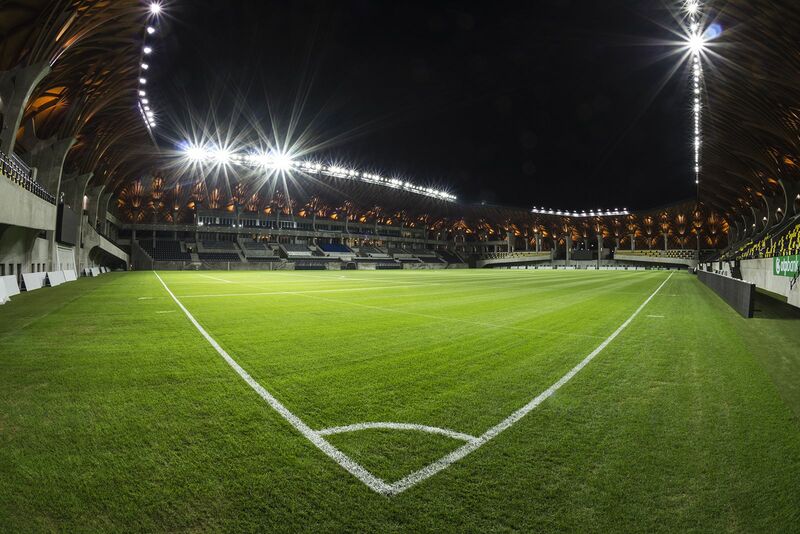 The 65,000-capacity stadium should cost €325 million. 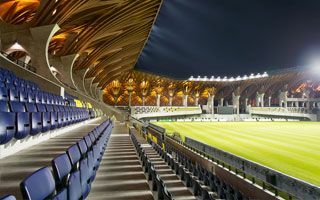 An amazing forest of wooden roof supports, concrete arcades cutting the promenade around stands into sections and a unique, organic architecture. 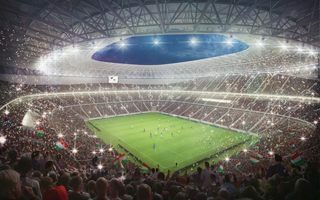 These are the most distinctive features of Hungary’s new youth national stadium. 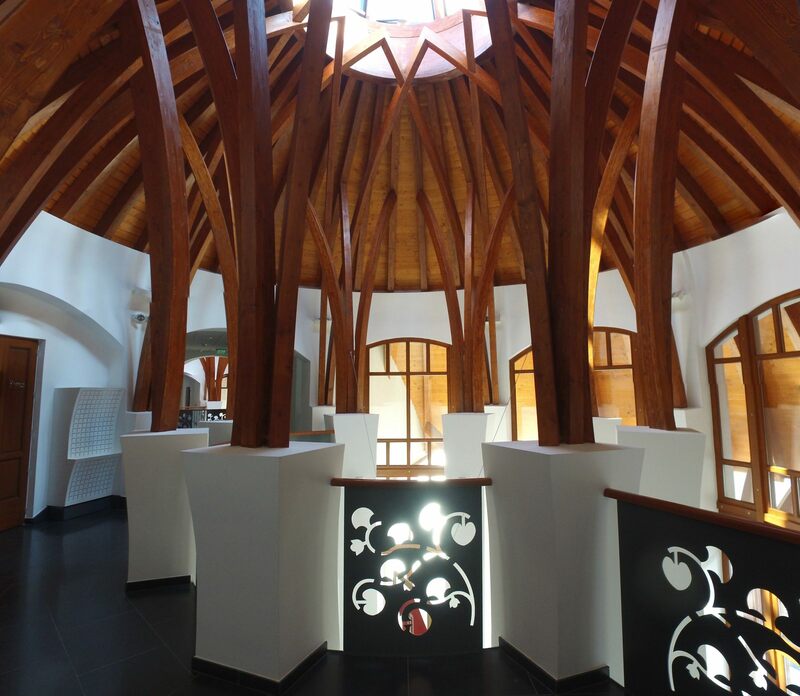 But is it good value for money?